10 Storks recently sent us a box to review, and it was a rally fun box! 10 storks is a box that is sent each month during pregnancy. The 10th box is for the baby (as seen in the review) and is free. 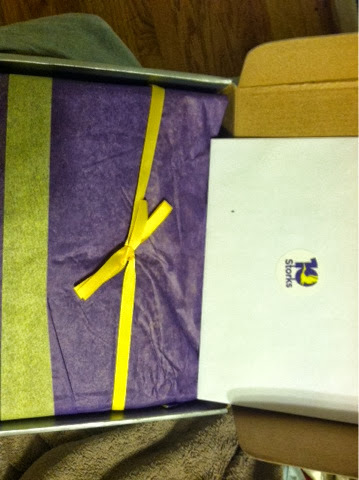 We thought the packaging was really nice and perfect for gift giving. 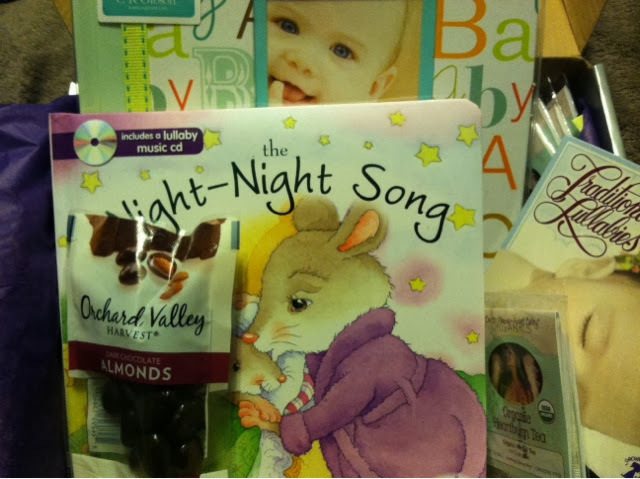 The box included a wide array of baby items like music and a photo book, as well as a book and even some tea and snacks for mom! This is the 9 month box! Just in time for baby! The practical baby items in the baby box were a real treat with diapers, wipes, and even a cute outfit, what a great gift this would make-- something that comes throughout the entire pregnancy and reminds the recipient of your gift when the baby is born. We love that some items are fun and some are practical! 10 Storks can be found at: 10storks.com and is only $40 a month! If you look at the fabulous goodies above, you will see that it is more than worth it! If you use code: mamabreak you can save $10 off your order!